 MOYAL & SIMON is an independent Luxembourg law firm that has matured into an established key firm in Luxembourg since its foundation. We pride ourselves in combining the quality and expertise of the leading commercial law firms while delivering individually-tailored services adapted to the specific needs of our clients. The firm is made up of a well-coordinated team of multi-lingual lawyers with international backgrounds and broad legal experience in Luxembourg and wider Europe. M&S caters for a full range of clients, from individuals to multinational companies, from start-up companies and private business persons to reputable listed companies. M&S’s formidable services have been recognised in the legal community, both recommended by the Legal 500 for M&A and Corporate law as well as having won the practice award for Best Corporate Law Firm of the Year from Global Law Experts in the past. The firm is made up of a well-coordinated team of multi-lingual lawyers and jurists, with international backgrounds and broad legal experience in Luxembourg and wider Europe. M&S caters a full range of clients, from individuals to multinational companies, from start-up companies and private business persons to reputable stock corporations. M&S’s formidable services have been recognized in the legal community, both recommended by the Legal 500 for M&A and Corporate law as well as having won the practice award for Best Corporate Law Firm of the Year from Global Law Experts in 2013. “Legal assistance must be clear, efficient and reliable” Our bespoke service and one on one client consultations are based on a mutual trust. This principal is the core of our firm’s philosophy which has led to so many successful cases. We offer extensive knowledge and experience to our Luxembourg clients as well as those abroad, on both a local and international scale. We possess the proficiency to advise them in multiple jurisdictions, including Luxembourgish, German, English and general international law. We have a versatile, multilingual team comprising a wide-range of nationalities which allows us to accommodate the needs of our clients in many languages, including German, English, French, Russian, Portuguese, Dutch and Luxembourgish. This is furthered by our ability to offer an international network of partner offices. At M&S, we ensure that our clients benefit from the most expedient approach in accordance with the specific needs of their situation. M&S’ lawyers are not only multilingual, but qualified to practice law in more than one jurisdiction as well. We are happy to accompany their clients to whichever we are needed in. When faced with negotiations and important decisions to be made, this can be an unfamiliar and stressful time. To minimise any such burdens, M&S strives to provide clients with clear guidance based on a combination of experience and specialist knowledge across a range of industries and businesses. Our lawyers will control the situation by drawing on substantial negotiating experience against both private and public bodies. We possess the skills to handle opponents in both more informal settings of private dispute resolution cases as well as assertively bringing their case in court. In addition to these domestic dealings, we pride ourselves on our transnational approach. Drawing on our international network of partner offices, M&S provides seamless cross border legal advice to our internationally active clients.